A Rose By Any Other Name: Maiden, Hyphenated, or Married Last Name? I’ve been married seven years, and I still can’t decide what to do about my last name. I was Emily Clyde Curtis (without the hyphen) for the first year, but I felt like people were leaving out the “Clyde” most of the time. So, around the second year, I was Emily Clyde-Curtis. But, “Clyde-Curtis” was cumbersome to spell out over the phone, at the doctor’s office, etc. And after a little while, “Clyde-Curtis” didn’t feel worth the effort. It was inconvenient for everyone, and frankly, I didn’t feel like it was that great of a solution. As I continued to struggle with what to do, around year 4 or 5, I had a co-worker say, “Well, it became easier for me when I decided who I wanted to be affiliated with, my husband or my dad.” Excellent advice! She chose her dad. I chose my husband (I mean, I did covenant to spend eternity with him.). Years later, I’ll answer to whatever people call me, but I introduce myself as Emily Clyde Curtis. That’s how I introduce myself, that’s how I sign my name. I really appreciate it when people recognize that and call me by that name, but I don’t take offense when people don’t. Still, doesn’t feel quite right…I wish Harijans had taken one for the feminist team and decided to go with “Clyde” when we got married (It’s one syllable, you don’t have to even change your place in the alphabet, and wouldn’t you like to have a last name that’s a little less common than Curtis—were a few of my arguments). I think part of my struggle is the androcentric nature of last names. And, it seems like other people struggle with this, too, but they’ve been able to come up with tidy solutions they are able to stick with. One of my favorites is the combination of the husband and wife’s last names. I have some friends who did this, but I think they were particularly lucky to each have neat mono-syllabic last names that blend so well, the new last name looks perfectly ordinary. How have you resolved this issue (or plan to resolve it)? What factors do/did you take into consideration? 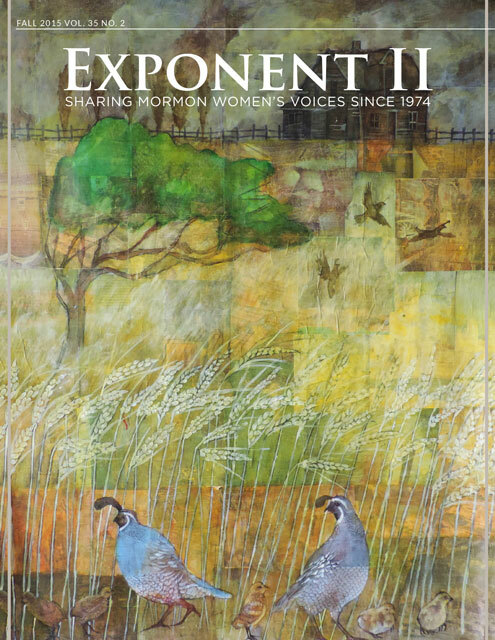 In 2015, the Exponent community urged policy change. I got married in the middle of a school year, and my students really struggled with the name change — which for them was akin to morphing from Deborah to Misty overnight. One student wrote a eulogy: “On the Death of Miss _______” and another boy refused on principle to call me by my married name for nearly two years, even when other students pestered him. He became one of my favorite students! Why change it? I suppose I partly view it as a marker of the change that has occured in my internal identity as a result of my relationship with my husband. Because it has changed me. I had one name as a child, a shortened version as a college student, a formal title during my first seven years of teaching, and now yet another title for the next few years . . . until, hopefully, I become Dr. _______. Incidently, my husband has recently moved from Mr. to Dr. and is surprised by the emotion attached to such a change. As he works in schools, too, he hears this version more than his first name most days. I think it has given him a measure of understanding. Incidently, like you, I have adopted my maiden name as my middle name and tend to write out all three. Incidently, at my wedding, my new sister-in-law acknowledged the sacrifice and opportunity name-changing with a gorgeous toast. She is an accomplished lawyer and had also chosen to take what is now my last name. She paid tribute to my husband’s female relatives and foremothers, noting individual accomplishments (and they were *accomplished* women): “It helped me to know that I was joining the company of such women, and I welcome you to this rich heritage.” In this way it wasn’t just a matter of father’s name vs. husband’s name — but also of recognizing the women whose legacy I was adding to my own. Emily, I went through a very similar process. I started my marriage by hyphenating my name, but it was unbelievably cumbersome. My first name has nine letters and three syllables, as does my husband’s last name, and with my maiden name the whole thing was eight syllables long. I felt like an absolute monstrosity every time a teacher called roll or I met someone new or I had to make a doctor’s appointment, and if there’s anything I hate, it’s calling unnecessary attention to myself (that was the clincher)–so after a couple of years I dropped the hyphen and made my married name my middle name. It’s still six syllables (good reason to go by my nickname Eve!) but much more manageable than it was. However, I agree that there’s just no good solution to the last name problem. My favorite was a friend who just happened to marry someone with the same last name she had. How lucky can you get! I am firmly dedicated to retaining my birth name for the rest of my life. I’ve been married for six years now, and I’m so glad I never changed it. For me, keeping my birth name had nothing to do with affiliating myself with my father (he died when I was a baby) but it had everything to do with retaining the identity I crafted over the past 23 years. I was/am proud of the things I’ve accomplished as Caroline Kline. It’s just who I am, and I felt that changing that name just because I changed my marital status would be like chopping off my arm. Like truncating a very essential part of me. I really like introducing myself as Caroline Kline as my husband introduces himself with his last name. I think of it as an outward symbol of some of my feminist beliefs – people can guess immediately where I’m coming from, so there are no surprises when I make my non-orthodox comments. Anyway, it just feels right for me. (Others can certainly come to a different conclusion for themselves.) Though, because I so appreciate the beautiful symmetry, I would also have considered becoming Kline-McBride if my husband had also agreed to be Kline-McBride. Then we could have crafted a new identity together along with our new lives. Our problem is coming now with the kids. Long ago before I married I told Mike I was ok with the kids having my husband’s last name. Now I really regret that. I’m not ok with it. I think our kids should have our names hyphenated. But Mike is holding me to my earlier statement, so my hands are tied. The best I can do is have him agree that all our kids’ middle names will be Kline. I plan to change my name… someday. It’s been two years and I haven’t gotten around to it. Some it it’s the catch-22 of paperwork. They’ll let you change your name for free if it’s within a certain span of time after the wedding but it took them seven months to officially register the marriage, thus I couldn’t have shown a certificate in the necessary time frame. I admit that I’m used to my maiden name. And I like my middle name too much to replace it with my maiden name. (On the other hand, my middle name is the basis of the nickname I went by for most of my early life so I maybe more attached to it that others are to theirs.) Plus, my married name and my first name alliterate and I’m such a sucker for alliteration. Why do I want to change my name? Headaches, mostly. As in, the avoiding of them. I anticipate trouble signing in to the school office as “Miss X” to pick up “Lisa Y.” Also I think having the same name makes for better family unity. My older brother is my half-brother and while it never caused problems (most likely because I was so much younger and smaller than him I would never have dared to stir up that kind of trouble) I do recall not knowing what to think or feel about it. It would often (and sometimes still does) catch me off-guard to remember “Oh right, he has a different name!” Names may have no power to change the essence of a thing but they do communicate something important. A rose might be just as beautiful and sweet-smelling if it was called skunk cabbage but I doubt we’d feel as romantically about it. The problem with the hyphenation system is it doesn’t work well past the first generation. Your child is Smith-Young. She marries Mr. Card and becomes Mrs. Smith-Young-Card. Her child marries Mr. Hinkley and becomes Mrs. Smith-Young-Card-Hinkley. (Or her child marries Ms. Hinkley and becomes Mr. blah-blah-blah.) Or, in the all children take both parents’ names and all adults add their spouse’s name to their own model, Mr. Smith-Young marries Ms. Card-Hinkley and they become Mr. and Mrs. Smith-Young-Card-Hinkley. What the heck are their kids going to do? Again it’s a headache. Which, I think, brings me to the real reason I’m going to change my name: I’m taking pity on the genealogy researchers among my descendants. Proud Daughter of Eve: I took my husband’s name when I got married, but I think now I want to change it to Brooke Skunk-Cabbage. Interestingly enough, in the Korean culture, women keep their maiden names. I don’t have to worry about changing my name at this point in time, but my parents specifically did not give their daughters middle names so that we could use our maiden name as our middle name after marriage. One night at the dinner table, I told the kids that their mother and I had discussed the subjec tof a family name. We felt that the Knudsen side of the family was being forgotten because my wife took my name, Wells. We discussed hyphenating the names, Knudsen-Wells. But they decided that it sounded too clunky. I then suggested that we blend the names to create a new name. Wellson? Knudell? Pronounced “Newdell”. Growns from the teenagers. Same name pronounced “Canoodle”. At that point my son stated that if we changed his last name to Canoodle, he was running away from home and joining the circus. I didn’t change my name in any way after marrying. I got a lot of flack for it from some of my family and some of my fellow saints who assumed that my decision was based in feminist ideology – ideology that they were/are opposed to. Actually, my reasons had nothing to do with men/women issues, but had to do with comfort and convenience. But, I have to admit, those voices of opposition got to me. From comments like “she isn’t one with her husband” to “she’s dishonoring the priesthood,” I had moments of questioning the “rightness” of my decision. So, I took it to God and asked His opinion on the matter. His answer put everything into perspective: “There is only one name under heaven by which mankind may be saved, and it isn’t your name and it isn’t your husband’s name.” I didn’t question my decision anymore after that. I don’t see my name as a statement of affiliation or belonging. It’s simply a way to identify myself to others, and any collection of phonetic sounds will do that. What seems to matter for each individual in terms of a name is the “new name” spoken of in scriptures, and that could have something to do with the temple ceremony or maybe it’s more a symbolic reference to what happens to one’s heart and countenance as they draw closer to God. While I’m usually fairly open to everyone having their own ideas and opinions, I would really like it if everyone adopted my opinion on this matter, at least to some extent. After 14 years of marriage, and 14 years of explaining/defending my name-choice, I’d really like for people to stop criticizing and judging and simply accept whatever name I choose to go by. Thanks EmilyCC for the post. I’ve never commented here, but this post was enough to do it for me! I dropped my middle name, took my maiden as my middle, and took my husbands name as my new last name. Looking back, I’m shocked at how little thought I put into the change since I was a little older as a bride (in the Mormon culture, anyway) at 27, and because I had previously stated I wouldn’t change or would hyphenate. After 3+ years of marriage, I find myself writing out both my maiden and last more and more. Incidentally, the church still has my birth middle name on the church records, and no record as my maiden. It has been a huge pain to change – they want me to bring in my marriage certificate and new social security card, which I find odd, and I keep forgetting. Also, on people who don’t give their daughters middle names so the daughters can use their maidens for middles: that has always bugged me because – before the daughter is even born – it assumes that the daughter would want to change her last name at marriage. Talk about presumptuous. I have some objection to not giving daughters a middle name *just* so they can take their maiden name as a married name. To me that says “my name isn’t complete” which could be problematic should the daughter never marry. Anyhow I took my husband’s name and though I miss my maiden name sometimes the benefits of having a name at the beginning of the alphabet have been suprisingly worth it to me. Did you know – credit cards are horrible for ones credit history. Choose Debit Cards here. No credit history issue. No credit check, instant approval. Hmmm … I’ve never been bothered by not having a middle name. Makes filling out paperwork that much faster. Just think about how many minutes of my life I’m saving to do more worthwhile things with! Also, I like the idea of giving the maiden name of the mother as the first name of a child … assuming said name isn’t something awful. The hyphen thing does get complicated into other generations, but I always figured the person could choose which names to hyphenate. For example, if I named my daughter Alexandra Kline-McBride, I figured she could choose whichever name she liked better and hyphenate that one to her husband’s name when she has a kid. So my grandkid could turn into Kline-Smith, or McBride-Smith, up to them. Floyd, I actually really like the idea of coming up with a whole new name for a whole new family unit. I’ve long suggested Mike and I become the McKline’s! I agree with Starfoxy that parents shouldn’t assume anything about their children’s future decisions when naming them…but I do think it’s okay to name your daughter (or son, for that matter) without a middle name. I’m all about simplifying things. Like Dora, my parents gave me no middle name–and it some things easier. But interestingly enough, as a young girl, I always wanted a middle name and adopted one for myself (which changed a few times along the way). I’m perfectly alright with not giving your kids middle names because that is just how you want to name your child. When you do it with the plan of your child taking their maiden name as a middle name then I think that is completely different. They obviously think that the girl *should* have a middle name, because they plan on her having one eventually. So they leave her name incomplete with the plan of it being completed when she gets married. It’s like saying “We’re giving you less names than we think you should have so you won’t have to get rid of any when you get married.” I see all sorts of problems with that. Deborah, what a lovely gesture for your SIL to do at your wedding. I really like that she acknowledged the women who share that last name. Eve, an 8 syllable last name would be cumbersome, makes me feel wimpy complaining about 3 syllables! What a good idea to take your married name as a middle name—allows one to acknowledge the in-laws and one’s own family. Caroline, I think my identity as Emily Clyde was my biggest struggle in changing my name (rather than an allegiance to my dad and his family). And, I think McKline’s is a great last name. Proud Daughter of Eve, the kids was one of the main reasons I settled on my married name—either they’d have to hyphenate to pieces or they’d have to choose which parent’s name to keep if they marry. And, while I don’t think Harijans or I would care which they chose, I think a kid (even an adult kid) would worry unnecessarily about it. Floyd the wonderdog, I did suggest to my husband that we change both of our names to “Clytis,” but he thinks it sounds like a part of female genitalia. Tam, what a lovely answer to prayer on this matter, and it helps to remind me that ultimately, it doesn’t matter what I choose to go by. I’m sorry that people have questioned your decision. I think it’s so cool that we’ve all come up with different ways to deal with this last name thing. Julie and Starfoxy, the lack of middle names made me a little sad for those daughters maybe because my sisters’ and I are named after women in our family that we admire. I never thought that that would also imply the presumption that a woman was getting married. But, then I read Dora and Brooke, who prefer it. Incidentally Brooke, I love that you changed your middle name depending on what you felt like it being growing up. Gosh, now I feel like I have to worry about people not liking my parents for something that doesn’t matter to me. Honestly, I don’t think it would affect them at all if I did or didn’t keep my maiden name in any of the discussed permutations. As to changing non-last names … I like the idea of having long-ish first names that children can reinvent and nickname at will. I’ve gone through a couple permutations over the years, and it’s been fun to chart my progression through my name changes. In this vein of thought, wouldn’t it be interesting if everyone chose a name at a significant point in time that reflected their personality, as opposed to the hopes and dreams of the parents? The “Indian name” I got at the Magic Castle is “Sparkly pretty girl,” which I quite like. I took my wife’s last name when we married (at her insistence). It caused some trouble between our two families, but it worked out in the end. I agree with you ladies — screw tradition. I actually love having my husband’s name. I personally think trying to deal with hyphenated names and children sounds stressful. (Sure keeps family history records more simple!) 🙂 I use my maiden name as my middle name, and I like that, too. To each his own, I guess. Emily, sorry I didn’t explain very clearly–it was my whole name, first-mmaiden-married, that was eight syllables. Now an eight-syllable last name–that would be something! In Denmark the old tradition was for women to use same last name for their whole lives. I really like that, and since I’m of Danish descent I wish I’d just stuck with that tradition. It’s still male-based however– the woman’s last name was her father’s first name, with datter attached. For example Jens-datter. I started out keeping my maiden name, but so many people just assumed I had changed that I got tired of making it an issue and changed. I wish I hadn’t. But it is a problem for the children’s names. We know of three families where the agreement is that the girls have the mother’s surname and the boys have the father’s. Luckily for all three, each family has one girl and one boy. I don’t know if they would have done it differently if the balance hadn’t worked out. But I know this decision has been difficult for my husband. He comes from a traditional family that has been very vocal about their displeasure about my name. After years of enduring their comments and passive-aggressive tactics (DH’s last name on my birthday cards and birthday checks, “How is Mrs. Smith today?”, etc. ), I started sending all correspondence to my mother-in-law addressing them to her maiden name instead of her married name. Ouch. She got the message pretty quickly that it doesn’t feel very nice to have someone else decide what your name is for you. Things have been a little better with his family in this respect since then. Also, as far as the kids go, if DH ultimately decides that he can’t stomach the hyphen (which is what I’m leaning toward), we’ve decided that I get to be in charge of both the first and middle names. And both names will be family names from my side of the family, so that they have just as much of a connection to my side as his. For those of you who haven’t read it, I did a guest post on fMh about this–some interesting comments there to consider. In a nutshell, keeping my name was about keeping MY name, MY identity. I understand that people feel that marriage is a change in one’s identity (and it is), but it’s just as significant a change in the husband’s identity as the wife’s, so that argument didn’t persuade me. Naming traditions ARE highly cultural and really only that–traditions. Choosing to keep one’s birth name or not should not be a measure of personal righteousness. My mom’s been on the same campaign as Maria’s MIL and I’ve considered using the same tactic (addressing things to her with her birth/maiden name), but haven’t yet. But my ward has adjusted–they’ve even stopped trying to print my name with DH’s last name on the sunday school rolls–and I’ve gotten better skilled at gently/nonchalantly/tactfully correcting people. My feeling is that you should choose what feels right to you, at the core of yourself, and stick with your decision. Since we’re quoting Shakespeare, “this above all, to thine ownself be true–thou canst not then be false to any man.” I think if I had caved and changed my name because “everyone” else wanted me to, I would’ve seriously damanged my mental and emotional self. And that’s what it finally came down to–I just didn’t want to do it. So I didn’t. I picked one set of frustrations over another. You know, I just don’t get this. My maiden name came from my father. My married name from my husband. If we hyphenate, what happens to our kids? How long do you allow the hyphenated names to get? I am still the same woman, the same identity, as I was before I married. Both of my surnames have come from the two most important men in my life- we live in a society that works that way. If our society was matrilineal, then the problem would be for the boys, which is also not fair if you’re trying to be totally egalitarian. I made eteranl promises with my husband, and I am honored to have his name. In no way does that diminish who I am. More power to those of you who find this burdensome or worth worrying about, but I just don’t understand it. Ahem, I mean, to each her own. Tracy M., well said. I agree completely. From _The Emperor of Scent,_ which I love and just finished rereading. I can see how you would feel that your birth name came from your father, but I just don’t think of it like that. I think of it as MY name, the name I grew up with and identified myself with. I wouldn’t care if it came from my mother’s family or my neighbor’s family, it would still be MY name. So for me, it’s just not that easy to switch to someone else’s name just because I married. I changed my name to match my husband’s partly for convenience. I just didn’t want to deal with hassle of correcting people constantly. I adopted my maiden name as my middle, but only when I am limited to 3 names. I think of myself with all four of my names, because they are all a part of who I am. I like names. I’ve been reading and writing name books since I was a child, and if I change my last name when I marry, it’s going to have to be to something wonderful–I’m certainly not going to take on Murphy or Nielson or Jones. If I marry someone with the last name Dark or Golightly or Kyrielieison, I’ll consider it (especially the latter). Actually, in the interest of preventing poor future genealogists from getting bored, I would consider taking on an entirely new name with my husband. Names do have important symbolic value, and I think there’s nothing wrong with women keeping their own last names. It wasn’t so long ago that women were frequently referred to by their husband’s full names–Mrs. Charles Winthorpe, or Mrs. Frederick MacDougall. It’s hard to believe this had no effect on how people were perceived or perceived themselves, nor reflected an underlying ideology that women were appendages to their husbands. And regarding middle names, I’d never considered the argument that it keeps things simple to leave them out. But I think if you give your sons middle names, you should do the same for your daughters. Otherwise it looks like daughters are incomplete humans until they’re married in a way that sons are born complete. Since I enjoy making things complicated, I’ve always planned on at least two middle names for each child. I recognize you might want to be somewhat restrained with first names, and refrain from saddling the poor creature with Clytemnestra or Jacobugath for the duration of their childhood, but with middle names you should be able to go to town. Dora, I’d like to think that we’re all so open-minded (particularly our little Mormon feminist group 🙂 ) that we wouldn’t decide whether or not to like someone based on how they named their kids, but I understand your concern. I actually think it’s most thoughtful of parents like yours who are trying to make it easier on their kids. (not me…my son has 4 names: first 2 middle (one’s my maiden name) and a last) I don’t think they mean to be presumptuous–Mormons and other cultures are big on marriage. Karter m, glad to hear things worked out between the families. Good for you and your wife for defying tradition and sticking with it! S, good luck with your decision. I hope you have it figured out in less than 7 years! Paula, that is a neat tradition. I need to tell my husband’s family (they’re Danes, too). Artemis, thanks for your link. I loved reading your story and the comments. Mullingandmusing and tracy m, I’m glad this is not an issue for everyone. There’s enough to keep things interesting, but I wonder how I’d keep everyone’s rules straight if we all had a hard time with last names! Eowyn, it’s hard to completely drop any of my names, and I’m afraid my “original” middle name often gets dropped now so I can keep my maiden one. I’m glad you pointed that out. Now, I have to ask–several people have worried about genealogists doing their job. How thoughtful, but why worry about them? There is of course the additional motivation in that a) my fraternal cousins both have hyphenated names and b) we three each are apparently the only people on Earth with our respective names, despite having seriously common component names (on the order of Smith and Johnson) with which to deal. Anyway, any relatives or friends who want to try and find us never have a hard time — and one of my friends from elementary school is the same way. There are lots of Joshes, lots of Burians, and lots of Mohrs, but just one kid (not really a kid any more) who’s all three at the same time. I’d toyed with the idea of keeping my maiden name if I got married. Then I got engaged to the sweetest man on the planet. We were both older (33) when we got engaged, and he was just giddy with excitement about finally having a Mrs. G. As soon as I’d said “yes”, he started practicing my first name together with his last name. He’s not overbearing or heavyhandedly patriarchal or anything like that – he was just excited to have the woman he loved take his name. So I thought about it for about ten minutes and realized I was perfectly fine with taking his name. I’ve never bothered telling him that I considered doing it differently, because once I was faced with the decision, it became a non-issue for me. But I had a friend who was marrying a man she’d been living with for several years (she was becoming active in the church again, and he was getting baptized), and she realized she didn’t really want to change her name, since she’d had it so long and everything (and she liked it), and her husband didn’t care. So she just kept it. The first time she got set apart for a calling, the bishopric member who was doing it got all flustered over the name issue because *how could a married woman have a different name from her husband*, but then the other counselor said, “God knows what your name is,” and the blessing went forward and that was that. I think you’re right that too many people are critical and judgemental if a woman wants to keep her name. My brother’s friend was adament that if a woman he was engaged to wanted to keep her name, that would be a “deal breaker.” He also believed that a woman keeping her name “violated the patriarchal order.” Ugh. I also think that not giving a girl a middle name because she’ll get married makes it seem like she’s not a full person until she gets married. I feel exactly the same way! I still think I have 4 names. When I married, my last name was added on the end and then I chose which middle name to use. FYI, it is very difficult to have two middle names or to have two last names. Everything ends up pretty confused and it is kind of a hassle. Some Central/South American countries do the mother’s maiden name at the end and in this country it just confuses everyone and they don’t know what your name really is. I think both sides of the issue need to lighten up. I don’t mind if women I know keep their birth names. I do, however, expect them to not be offended if I call them by their married last name when they belong to kids with that name, and husbands with that name. It is actually quite common for women to have different names than their children, because of remarriage. Schools won’t blink at it. But I really want our family to have one name. AAACK! This reminds me of a couple of friends who insist on sending me letters addressed to Mrs. Husband’s First and Last Name. I just ignore it–one of them is 82 and the other is wildly conservative–but it drives me nuts. I was not given a middle name “to make things easier when I got married” and resented it since it indicated that I was incomplete until then. When I got married and decided to take my husbands’ name, I appreciated the simplicity of using maiden as middle name and not feeling a loss, but I will give my daughters middle names! Mine is an inter-racial marriage and there is enough sepperating us in the eyes of others that we share a last name for the purpose of unity. It has been fascinating to observe the different reactions I get with a different name. People make all sorts of assumptions about me–that I should be black or African–that never happened with my maiden name. I suppose they made other assumptions then, that perhaps were validated when meeting me in person. I do get a kick out of it when someone admits that they expected me to be black–“sorry to dissappoint” is my response. I’ve been married 10 years, didn’t change my name, and have never regretted my decision for one second. There were a lot of reasons, including feminism, aesthetics (why change one generic Scandinavian patronymic for another? and names ending in -sen/-son don’t make nice-sounding hyphenates; if his name had been really cool that might have tipped the balance toward changing), and laziness. Administratively, it was a piece of cake–the only thing I had to do was change my name *back* on church records. Apparently when you get married in the temple they change it for you. But my husband was membership clerk and was able to do it without any difficulty. They don’t seem to be able to manage different last names on the ward directory (making it sometimes hard for people to find me), but I don’t know if that’s because of the church computers or the ward clerks. My sons both have my husband’s last name (pragmatism + aesthetics). My older son started school last year, and there has been no problem with us having different last names. However, we live in Portland, not Utah, and the numbers of kids in his class were about equal between parents with the same last name and parents with different last names (not counting those kids with a single parent in the home). My mom gave me a lot of grief over the whole name-changing thing when we were engaged, until she asked David what he thought. He said, “Why should I care? It’s HER name!” and that was the end of that. I still occasionally get stuff from one or the other of our grandmothers addressed to Mrs. His Name, but I don’t think it’s passive aggression, and if it is I don’t care. My wife took my last name. And kept her middle name, so no more maiden name. We didn’t talk about it much. I wondered if she wanted to use her maiden name as her middle name, but she liked her middle name. I am definitely of the “older” generation, and thus I remember being thrilled to adopt my husband’s name after my marriage. Even though feminists at the time were making many of the same arguments for keeping my birth name as have been mentioned on this thread, I saw changing my name as an affirmation of my decision to become part of a potentially eternal partnership. As Deborah mentioned (in comment #1) I “partly view it as a marker of the change that has occured in internal identity as a result of my relationship with my husband.” Like many other women, I started using maiden name as my usual middle name after my marriage. Even though customs in the U.S. have changed, it seems like family members having the same last name can help avoid a lot of extraneous explanations about relationships. 🙂 But nowadays I think one can personally prefer some of the old-fashioned ways, without necessarily condemning those who choose differently. (Am I among the older generation?) I got married during college (20+ years ago), and frankly changed my legal name to first-name middle-name married-name even before the wedding (the joint checking account preceded the wedding by about 6 weeks). Which was a funny choice, because I have one of the most-common-on-the-planet first-name/middle-name combinations (initials are EA … one guess for what they stand for – yup, you’re right!). I was fine with it until standing in line, 18 years later, to check in for the LSAT, when I realized that my driver’s licence, Passport, and everything else that identifies me were different from the paperwork produced by LSAC. I hadn’t thought much about it at the time, but because I was married while at BYU, my diploma and college transcript were set up given-maiden-married. It was a slight moment of panic, but I was able to convince the proctor it was really me. So, when it is Law School stuff (and written product – I’d been writing music and producing genealogy that way for years) it’s given-maiden-married. But for almost everything else in my life, including priesthood blessings, I drop the maiden. Maybe I’m just a split personality that way. I am always surprised when I go for a job interview and all of my professional certificates pre-date my marriage, therefore present a different name than the one I currently use, yet no one has ever been disturbed by that in the least. I guess women are allowed to metamorphesize like that. Still, I wish they would do a more significant background check (I work in schools). I guess I dont understand this discussion/argument/decision. In a previous post, almost everyone on this page posted about how culture was so drasitcally important, and how the church should not make comments limiting the practice of cultural issues (tattoos, beards, long hair etc). Now that the issue is about you breaking the cultural norm, you are all for it, and seem to resent the church/society for not supporting your choice. I have no real issue with name changing, but I dont understand the apparent “situational cultural ethics” that the women on this blog support or reject. It is beginning to look to me that you simply like to endorse going against the norm – by either supporting common culture, or rejecting it – depending on the situation. Could some of you please comment on this? Dave, I don’t think anyone has endorsed the position that culture trumps all. Clearly, some time-honored cultural practices (like slavery) are evil; most, however, are morally neutral or–most common and hardest of all–morally ambiguous. I don’t think anyone here would seriously argue that we ought to uphold slavery simply because it is part of someone’s culture. As I read it, the argument about piercings and tattoos isn’t an argument about culture at all, but one about the moral signficance of these cultural markers. Some think they are morally significant; others don’t. I’m guessing we can all agree that they’re culturally significant, and that evil or negative cultural practices shouldn’t be perpetuated. The only question, then, is if piercings and tattoos fall into that category. In the situations you describe–tattoos, piercings, name-changing–all of us, more and more, live at the intersection of multiple cultures. So it’s not simply a matter of upholding a cultural norm in the case of tattoos and piercings and disregarding a norm in the case of names. Just as tattoos are normal in some cultures, women keeping their last names or hyphenating is quite normal in certain parts of the U.S. The multicultral situation we all live in forces us to be more and more conscious of the decisions we make, and to strive to make those that are morally significant consistent with the gospel and with personal revelation. But without knowledge of all of the different cultures at work in a person’s life, you can’t know against what she might be rebelling and to what she might be conforming. And even with that knowledge, you can’t know her motives for making the decisions she does. Don’t Hate Me: Your comment that “Anyway, I’m glad she wanted to use my last name. Otherwise it probably would have been a deal breaker(call off the wedding. )” is intriguing me. Could you perhaps explain a little bit more as to why this would be a deal breaker for you? What is it about this decision that makes it so fundamental to you? My reaction to this depends on 1)your intent and 2)how many times you have done it. If it was an accident, when you first met the family, etc., I can understand why you would hope that no offense be taken. In such situations, most women (in my experience) are incredibly reasonable and understanding. We really aren’t seeking to draw attention to ourselves or to make others uncomfortable, trust me. However, having said that, repeated “mistakes” are incredibly offensive. To me, it communicates the message that either 1)you don’t care enough about me to remember my real name or 2)you think that your way of doing things is better than mine. I find it interesting (and wonderful, incidentally) that you feel this way about taking your husband’s name. But I have to say that I feel the same way about NOT changing my name. By not taking my husband’s name, he and I both are affirming our commitment to an equal partnership in our eternal relationship. Our identities, our heritage, our families, are equal in importance. It’s interesting to me that we have such diverse viewpoints on the topic, but that we end up with the same result. By not taking my husband’s name, he and I both are affirming our commitment to an equal partnership in our eternal relationship. Our identities, our heritage, our families, are equal in importance. The fact is, name, no name, priesthood, no priesthood, YOU ARE ALREADY EQUAL. We latch onto, put semantics to things within our culture that we perceive to be inequalities- ie: names, priesthood, and think they are rocks. They are not. They are human perceptions or interpretations of greater things. We are all already completely equal in the eyes of the Lord. Holidng onto you name is just simply that, holding onto your name. I never thought much about the name issue before I got married at the age of 23. We got married in Utah, and when the temple worker simply whited out my birth name and wrote in what would’ve been my married name, I felt obligated to change my name. Now I’m bitter. I hadn’t done much academically or professionally before I got married, but now that I’ve done more, it’s probably best to stick with my married name rather than change it back. I’ve often told DH that I wish I would’ve kept my maiden/birth name. He admits that he might’ve been a bit put off by it had I refused to change names at first, but now he doesn’t care. Hyphenation wasn’t an option – we both have/had somewhat difficult last names and bordering on 20 letters was just too much. Now I have a last name that is really long and really obscure. Even within my FIL’s family, it’s spelled wrong on different birth certificates, so DH’s cousins have different spellings than he does. Talk about a fun time for future geneaologists! I hope it’s true that husbands and wives are completely equal before the Lord (both of equal value and expected to participate equally in decision making), although I don’t see definitive evidence for it. But even supposing it’s the case, names form an important part of our own self-perception and how we present ourselves to the world. Even if God expects us to make decisions as equal partners, God isn’t going to personally enforce that equality between us. It’s up to us to figure out how to function as equal partners, and keeping separate names can be one important symbolic reminder of a couple’s commitment to that equality. Kiskilli- fair enough. I guess I just never thought of it that way. If a person needs/wants/prefers/is comfortable with a reminder, I have no issue with that. I actually have no issue with women keeping their names at all, if that is what they want. It is just not something I, personally, have felt the need to do. I spelled your name wrong! Sorry! That makes a lot of sense to me. I have no problem with women changing their names, either, if that’s what they’re comfortable with. It’s nice to live in a country where we have options. Tracy I agree with you that the words we use are symbols of human perceptions. Language is a key player in how we construct reality. Because of that, I place more importance on it, not less. The words we use, the stories we tell, are what makes our reality. That’s why I try to be careful about what language I use. Saying that we are equal in the eyes of the Lord is meaningless to me when I am living with what I percieve to be vast and painful inequalities in the here and now. I will not be complacent now for promise of something in another life that I am not convinced will even happen. What I have is now, and I want it to be the best now it can be. I am not willing to accept oppression now because in some other life things will all be flowers and rainbows. It just won’t work for me anymore. I had a friend who was such a chauvenist that he believed he was entitled to change his theoretical wife’s first name. 1) I feel tremendous allegiance to my first name — and hate nicknames — but view last names as a bit of a merry-go-round of merging family identities. I have explored my own roots and kind of like the idea of being able to add a new set. And I am very intrigued by the women in my husband’s family history. 2) Adding a name was a way to reframe myself at a time in my life when I was eager to do some reinterpreting. 3) Probably most importantly: My husband didn’t really care. He was open to either possiblility. We have an interfaith marriage, he comes from a long line of strong women, and he entered marriage at a later age with high expectations about a partnership model. My father-in-law has remarked how surprised he is that his “two accomplished daughter-in-laws were inclined to borrow his family’s name.” Had I been entering a marriage with doubts about my equal standing in the marriage, I think I may have reacted differently to taking “his” name. Instead I view it as almost opportunity to carry the stories of two families in my three-word name. I would think it would be a generally good idea to give girls and boys middle names. That way, there are more options at marriage, should an unfortuntate combination result. My wife adopted a middle name (didn’t have one initially) when we got married to avoid an unfortunate combination of initials. The middle name means more to her than her maiden name. It is on all of the records that we have, SS, driver’s license, credit cards etc. Everything but the church records. No forms filled out, no nothing. She just started using it. That will be fun for the genealogists I am sure. Perhaps a better solution would be to have a youth name, and then an adult name. I still have no idea why Emily changed her name when we got married. She asked me to change mine, I was like no way! I worked hard to make this name as cool as it is, not gonna start over now. I think the best solution is for newly weds to select a new last name by randomly selecting words from a dictionary for a language neither person speaks. At least then you always have something to talk about. I think it’s funny how many people are talking about making things easier or more difficult for future genealogists. We’re all LDS right? We’re all already in the family history databases, right? Probably several generations worth are already in the databases. It’s not like some future descendant is going to be squinting at your birth certificate and wondering if you married so-and-so or not. That information is already neatly recorded and filed, along with confirmation of whether or not you had your ordinances done. If I make a mistake, and call someone by their husband’s or children’s last name it is because I don’t know them well enough to remember their last name, if it is different. I really try hard to remember people’s names (first and last) but it is so hard though. I was at school at had to address somebody as “Reilly’s mom” to get her attention, because I couldn’t recall her first name. Now, I have to admit that I am offended when my FIL calls our daughter Alexis, when her name is actually Alexa. However, if other people mistakenly call her Alexis, I don’t get offended. I DON’T think its because they are trying to force on me their opinion of what her name should be. In my family and my husband’s family, the middle name is passed to the oldest child. So our first boy’s middle name will be Louis, like his father and grandfather. Our second boy will have the middle name Reid, like my father and my grandfather, etc. Same thing goes for girls, though the first girl will have Marie for her middle name in homage to my mother and grandmother (I’m not the oldest girl, so it’s not my middle name). I also would definitely give one of my boys my last name as his first or middle name. I also harbor the idea of opening a wedding/reception hall with my husband and naming it both of our last names, which sound snooty and fancy and perfect when put together.